Respect the “sactity of marriage” by waiting fro the person you know is right for you. 1. Being gay is not natural. And as you know Amwecns have always rejected unnatural things like eyeglasses, polyester, and air conditioning. 5. 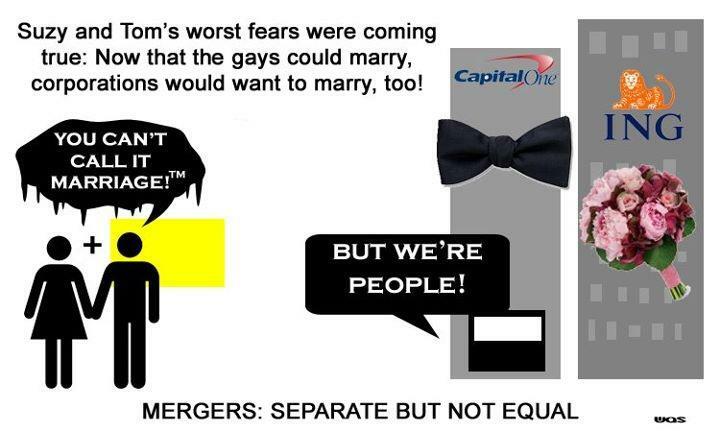 Straight marriage will be less meaningful if gay marriage were allowed. The sanctity of Britany Spears’ 55-hour just-for-fun marriage would be destroyed.